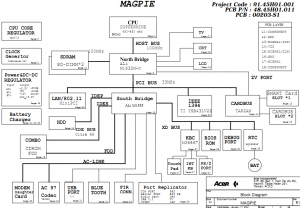 The schematic diagram for Acer TravelMate 8371, Acer TravelMate 8371G notebook/laptop, INVENTEC BAP31U. 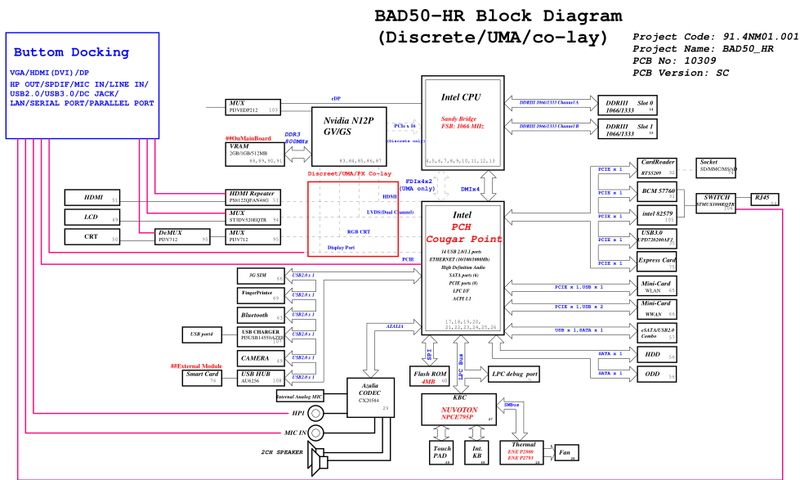 The motherboard schematic for Acer TravelMate 6493 laptop/notebook, JAQ10 Mainboard, Compal LA-4311P, JAQ10 M/B Schematics Document. 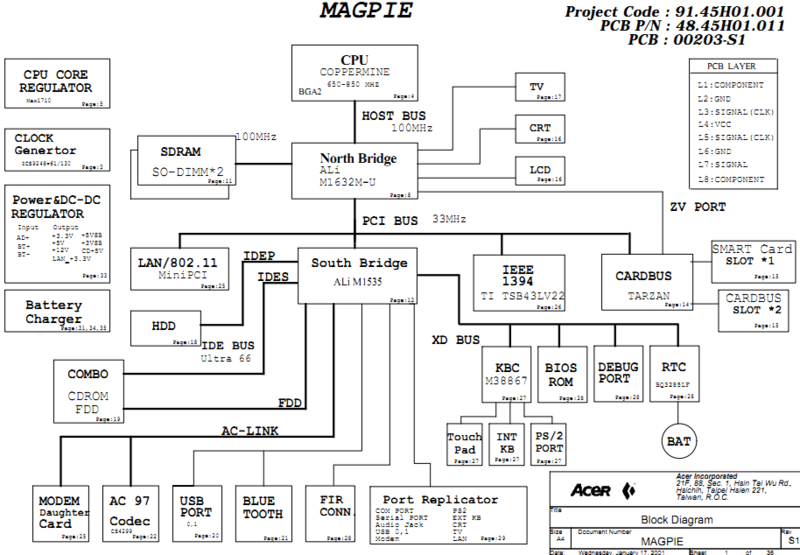 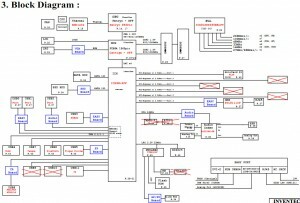 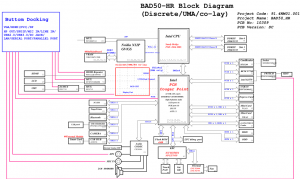 The motherboard schematic and boardview(.brd)for Acer TravelMate 350 laptop/notebook, Wistron MAGPIE. 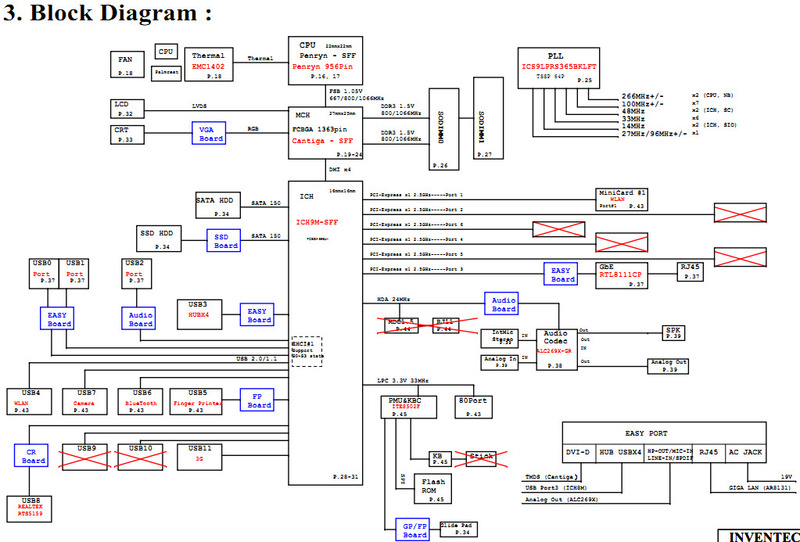 The motherboard schematic for Acer TravelMate 7740, Acer TravelMate 7740Z laptop/notebook, Quanta ZYA Mainboard. 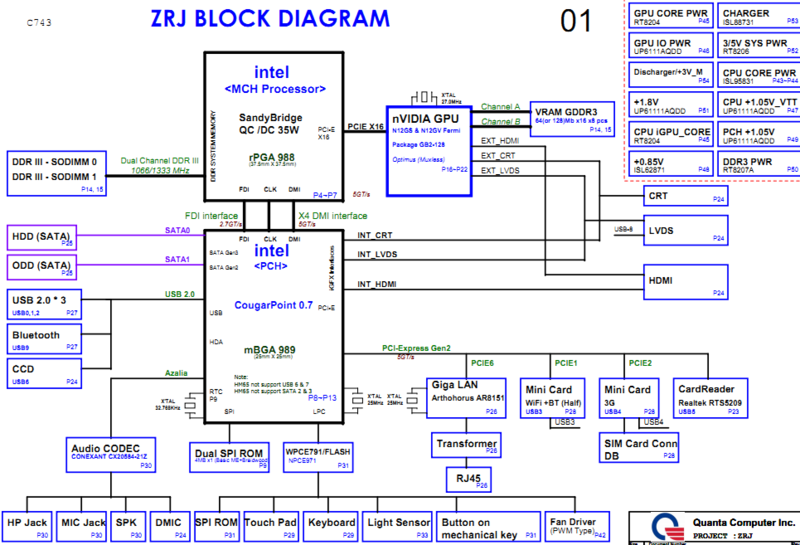 The motherboard schematic for Acer TravelMate 5670, Acer TravelMate 5670G laptop/notebook, Quanta ZRJ. 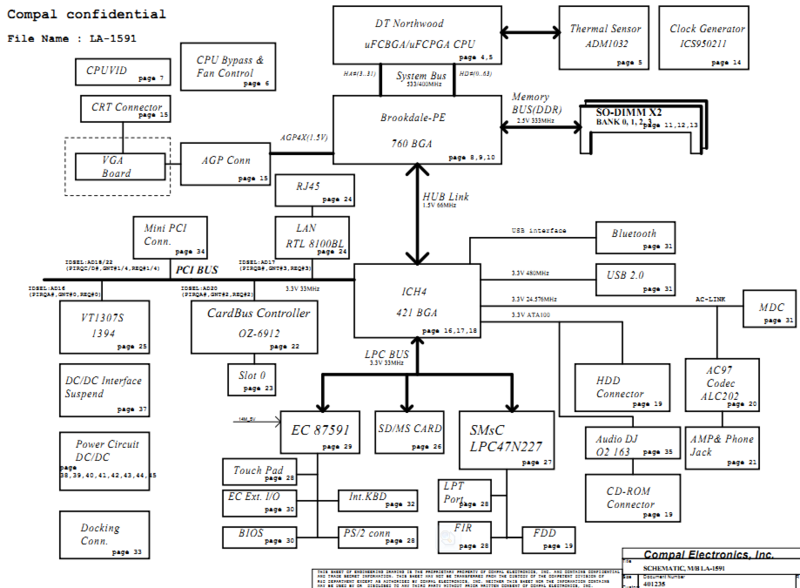 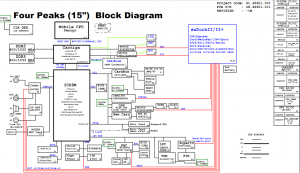 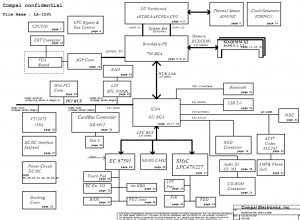 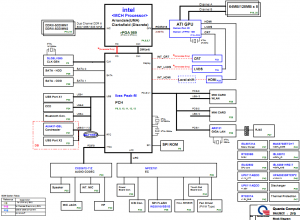 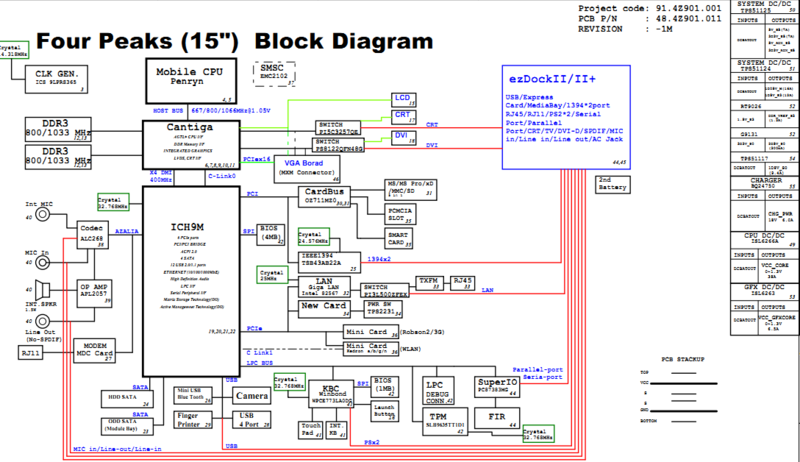 The motherboard schematic for Acer TravelMate 420 laptop/notebook, CQ12 Compal LA-1591. 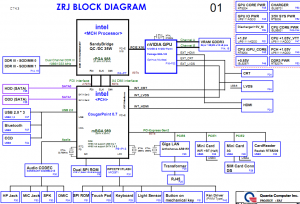 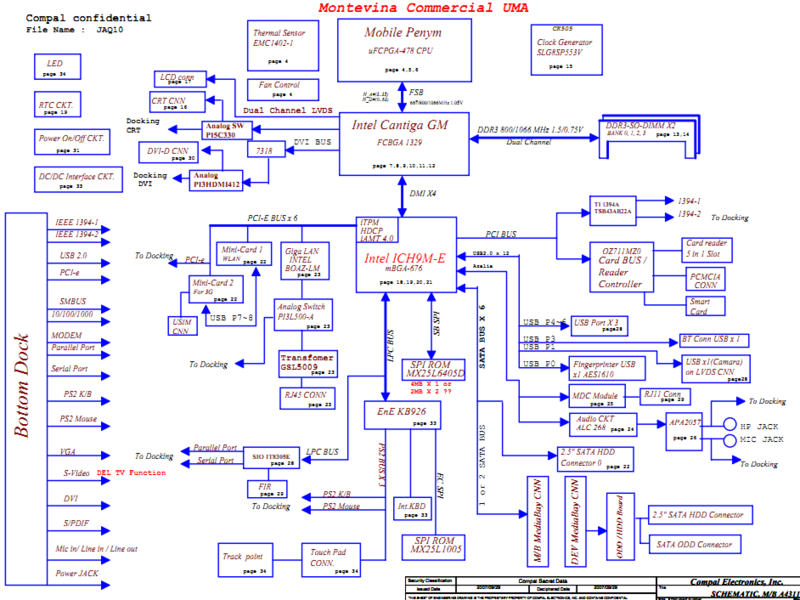 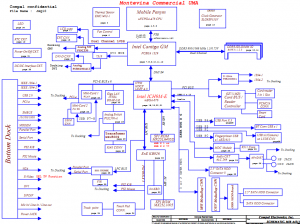 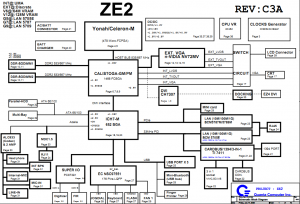 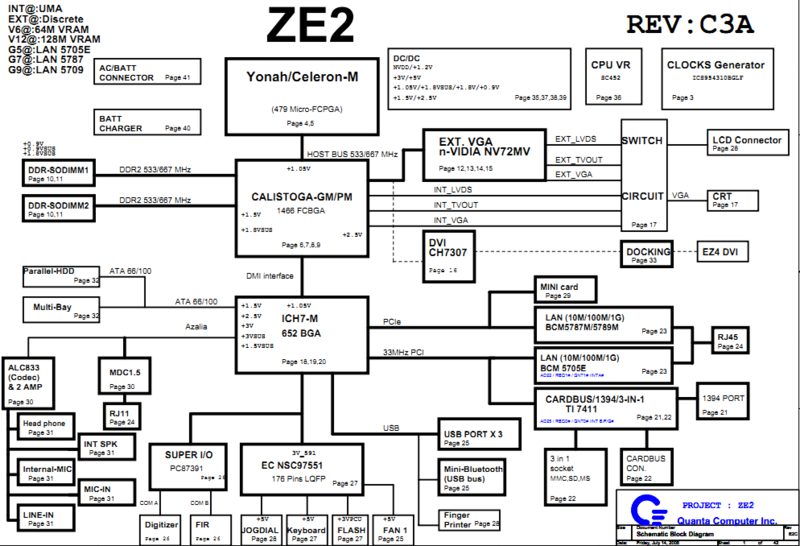 The motherboard schematic for Acer TravelMate C210 laptop/notebook, Quanta ZE2 Mainboard. 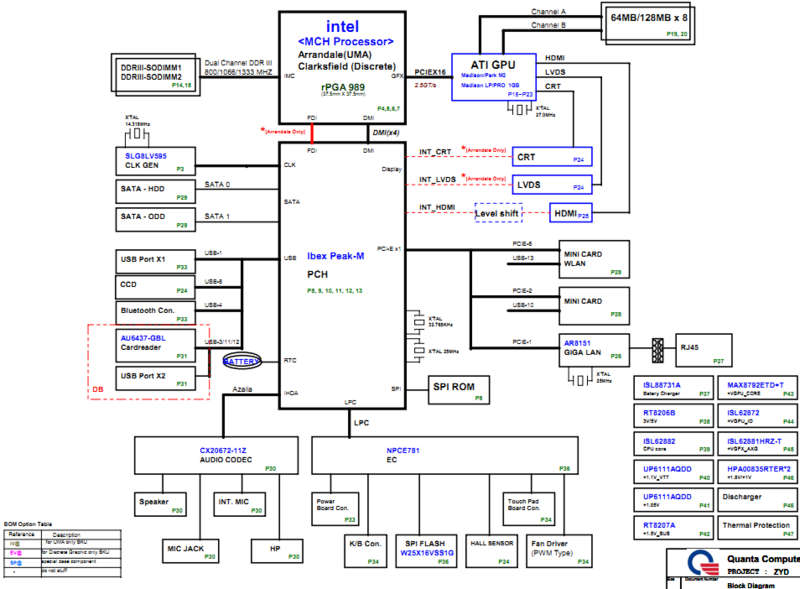 The motherboard schematic for Acer TravelMate 6593 Mainboard, Wistron Four Peaks (15″).